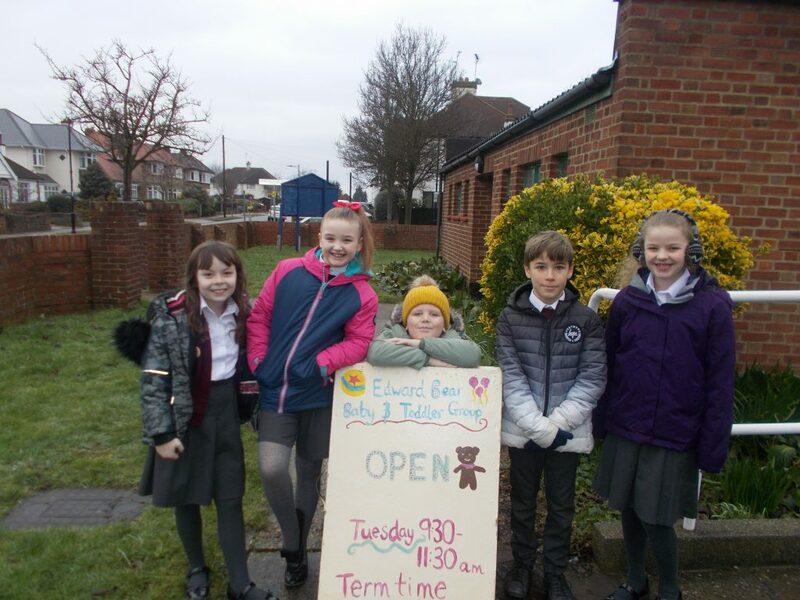 Today saw more children take part in another ‘AOK Club’ mission as a group of pupils from Beech accompanied Mrs Critoph and Mrs Smoothy to ‘Edward Bears’ pre-school group held at St Peters Church. The children read stories to some children and played alongside others before decorating marshmallows and clearing up the snacks after the younger children. Mrs Critoph was bursting with pride at the fact that they were such wonderful role models throughout the session. She was delighted to present the group with their special badges back in school. Well done children, we are proud of you! In the KS1 assembly, Mr B continued to focus discussions around the theme of responsibility. Continuing from yesterdays assembly where the children identified ways to take responsibility for their belongings, today the children thought about how to take responsibility for their actions- even if they have made a wrong choice. Some of the children were very honest and shared with the rest of the hall times when they had made a wrong choice and how, even though it had been difficult to do so, they had taken responsibility for their actions and everything had turned out for the better. Meanwhile, back in school, the children in Year Five spent their maths lessons investigating fractions before, in English, writing complex diary entries in the role of various characters from ‘Chinese Cinderella’. Later in the day the children in Foxes, and some from Kestrels, enjoyed spending time with Koda the therapy dog whilst, in Year Four, the children continued to create their own Lowry figures. In Year Five the children took part in a science investigation where they predicted and then measured how many items, such as counters and cubes,could fit in a paper boat before causing it to sink and whether the surface area of the boat altered this amount. In 6J the children continued to create their own WWII propaganda posters with some beginning to create their own poster using screen printing. Meanwhile, a group of children from Years Five and Six took part in the Southend inter-schools hockey tournament. The children worked well as a team, coming a respectable fifth overall in the competition. Well done children, we are proud of you!